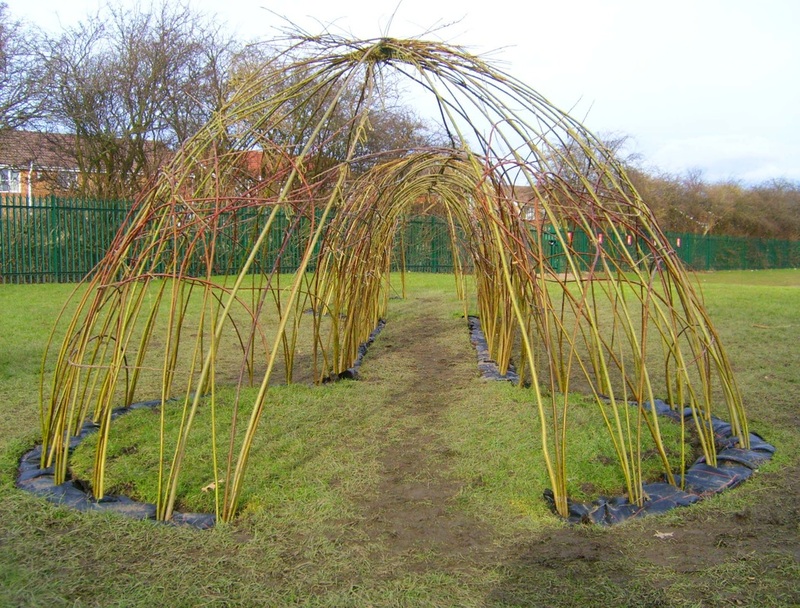 Withies are dried willows, they are flexible & lightweight ideal for making large structures that can be covered with tissue paper & painted. 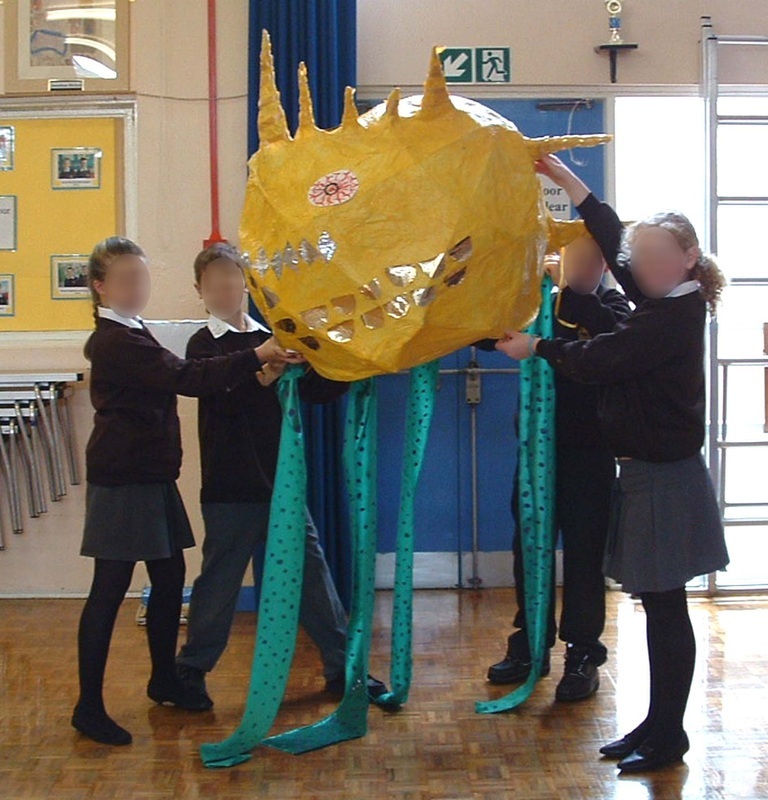 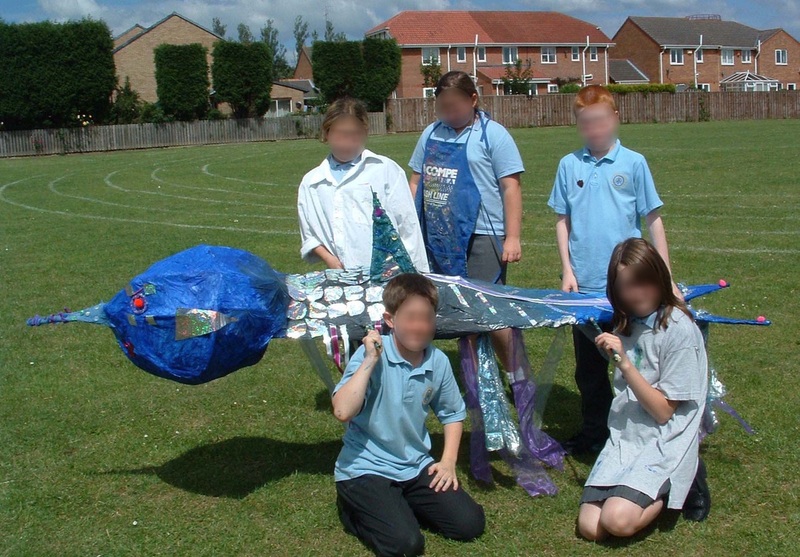 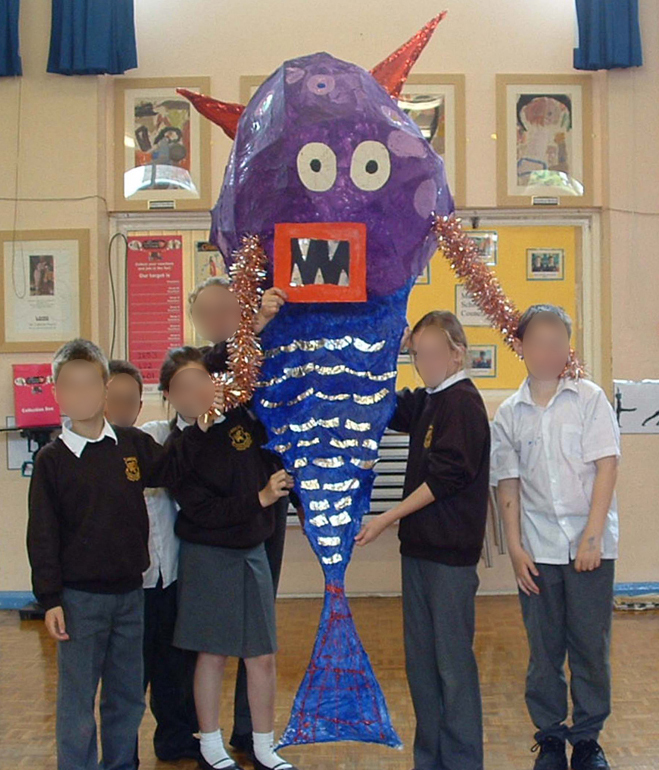 These images are of giant sea monsters which were part of the 'Big Oceans' project. 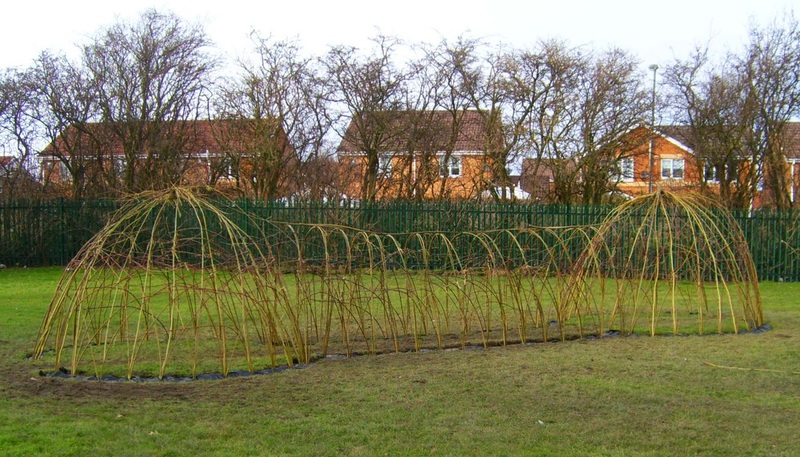 Pupils & parents from Fordley Primary School in Cramlington planted a living willow structure comprising two domes & a connecting tunnel. 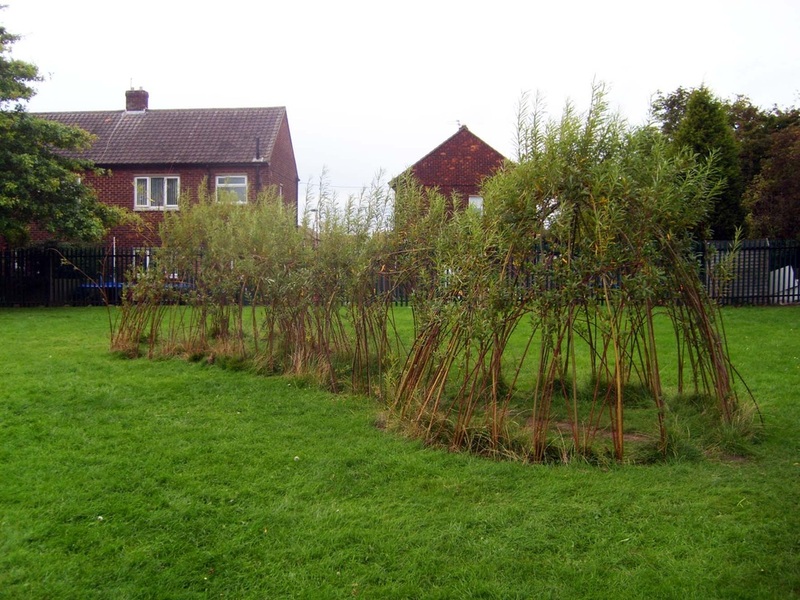 As the willows grow they can be woven into form a dense covering.